Karim Benzema had a shot on goal in the 70th minute, but it was cleared off the line. See an Associated Press article on Monday’s matches. RIO DE JANEIRO (AP) — Free-scoring France takes on Nigeria and Germany faces Algeria as the second round continues at the World Cup on Monday with two games pitching European teams against African opponents. Eight goals in its first two group games have made France an exciting team to watch and the favorite to reach the quarterfinals. Not least because Nigeria’s preparations have been overshadowed by widespread reports of problems over player bonuses. Algeria has a 32-year-old score to settle with Germany following its exit at the 1982 World Cup. However, the odds are stacked against anything but a Germany victory. Apart from a 0-0 draw with Ecuador in its last group game, France’s attack has been prolific in Brazil. A 3-0 win over Honduras and a 5-2 demolition of Switzerland have made the French an outside bet for the title and won back their fans at home — four years after a training ground strike resulted in the team becoming a national disgrace. “In recent matches, we have noticed a love rekindled with the team,” France goalkeeper Hugo Lloris said. On the injury front, Mamadou Sakho needs to recover from a left hamstring problem or his place in central defense will go to Laurent Koscielny. 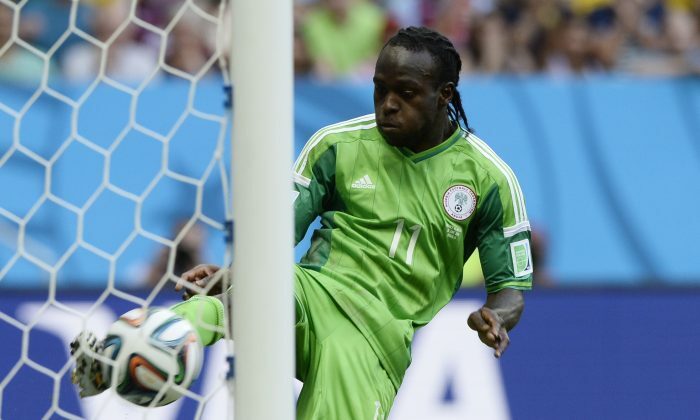 Nigeria is waiting on the fitness of winger Victor Moses after a muscle strain and defender Godfrey Oboabona following a foot injury, though the Nigerians have also had other issues. A potential strike by players over unpaid bonuses was averted late Thursday when Nigeria President Goodluck Jonathan stepped in and spoke to coach Stephen Keshi and captain Joseph Yobo. Known as the ‘Disgrace of Gijon’, West Germany’s 1-0 win over Austria at the 1982 World Cup in Spain provides the backdrop to Monday’s game. The Germans scored early and the teams just knocked the ball around for the rest of the match as that score ensured both teams progressed to the second round, and sent Algeria home — despite its earlier upset victory over the Germans. It’s taken Algeria another 32 years to finally secure its first trip to the second round. And blocking its path to the quarterfinals is none other than Germany, whose coach Joachim Loew is well aware of the talk of revenge. Germany’s attack will again be led by Thomas Mueller, who scored four goals to help Germany win Group G, though Mario Goetze is tipped to replace the injured Lukas Podolski in the other forward position. Algeria will not lack motivation and in Islam Slimani, who scored in a 4-2 win over South Korea and a 1-1 draw with Russia, it has a proven finisher.